One of Manitoba’s biggest and most successful auto dealers is expanding his enterprise into neighbouring Ontario and plans to hire there. 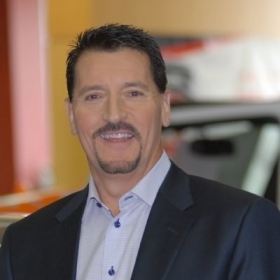 Walt Morris, Manitoba’s top-selling Chrysler dealer for 10 consecutive years, recently bought Kantola GM from the Kantola family in Kenora, Ontario, and has rebranded it Kenora GM. “Knowing the Kantola family throughout the years, the upside was terrific. They ran a very good and profitable operation,” Morris told Automotive News Canada. Kantola Chevrolet Buick GMC had been in the Kantola family for about 40 years. “It was good timing for us and we’re appreciative of the Kantola family for giving us the opportunity to expand our operations,” Morris said. Morris didn’t say how much he paid for the dealership. He said buying a dealership in a neighbouring province didn’t present any hurdles. Morris plans to add a detailing service in Kenora and increase the dealership’s used inventory. “We really, really want to be the go-to for people in that area for pre-owned, and not just GM product,” Morris said. The detailing centre will require an additional four or five employees. He also plans to hire a technician, an accountant and a couple of salespeople. Morris said he intends to hire 6-10 people by mid-October, or thereabout. Several members of the Kantola family remain part of Kenora GM, including General Sales Manager Rod Kantola. “It’s been a smooth transition. I just knew who Richard [Kantola] was and what it meant to turn over his family to me — and not just his family, but his business family, because that’s what they are, family,” Morris said. The only major change to staff has been the appointment of Brendan Morris, Walt Morris’ son, as sales manager. “To see the succession plan transpire is very encouraging. I’m proud of him, to see him be able to take the next step in his career,” Morris said. Brendan Morris, 25, started detailing cars for his dad at age 11. He worked in the lube and oil department, sold Suzuki ATVs and dirt bikes and has been a sales manager at Winnipeg Chrysler Jeep Ram, all under his dad’s watch.